- Critical control & safety system enabling high integrity and high availability. - Suitable for all chillers, heat pump and geothermal heat pump units. - Possibility to connect Electronic Expansion Value driver. Phoenix Contact is actively pursuing these trends with innovative I/O system for perfect solutions in control cabinet construction and field wiring. The inline Modular automation kit stands for “plugging instead of Wiring and connects sensors and actuators with a minimum of wiring and a maximum of function. EH2 series is well equipped with outstanding operational speed, large programming capacity and built in application and communication instructions, multiple special extension modules and function cards, enabling the efficiency of the MPU to be utilized to its fullness. - Small but Strong ! - Feel Powerful Communication ! We offer PLC Controller from certified manufacturers and are made of high quality raw material. The machine is treated with heat to give it a long life. These are widely used in various industries for their durability, high operational values and sturdy construction. 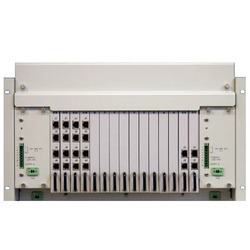 ALL TYPES OF PLC's , AND SPARES OF PLC'S ARE AVAILABLE IN READY STOCK. MAJOR BRANDS WHICH WE DEAL IN ARE ALLEN BRADLEY, SCHNEIDER, SIEMENS, ABB ETC. 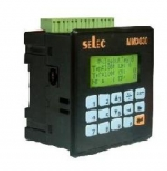 - Multi-channel Temperature Control and many more..
By keeping track with the latest market advancement, we are providing highly efficient assortment of Programmable Logic Controller Help Guide.